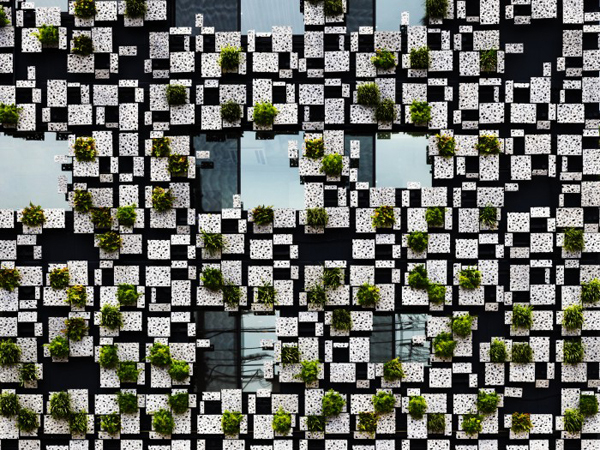 This facade design by Kengo Kuma Associates in Japan amazingly combines the functional requirements of a building with the desire for an organic appearance by systematic approach. 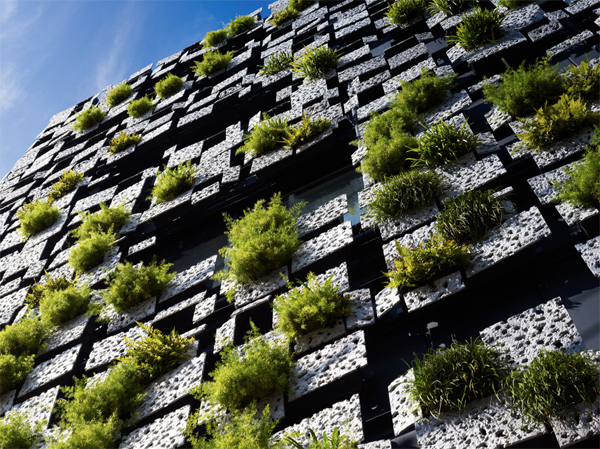 Panels of aluminum frame the majority of the facade and conceal the facilities of the building. These combined with decayed styrene foam create a series of planters, slanted to allow water hoses and air ventilation to be stored behind the panels. 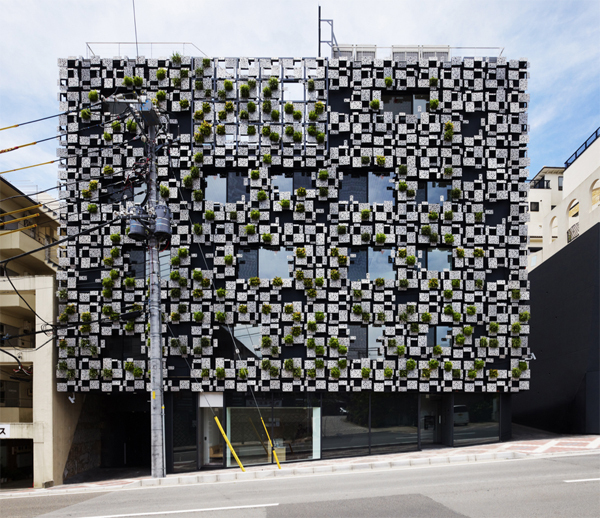 From a distance, this facade may appear as simply an artistic expression made by the architect, but by zooming in, you can see the purpose and function that the placement of the panels possess.